My father, Darrell Milas Wilkerson, never owned a home. He told me he was much more comfortable in the seat of an airplane or driving a car. He lived an adventurous life and told the best damn stories. When he wasn’t spinning a yarn, he was singing songs or reciting poetry. Daddy died June 4, 1992, but his words remain. So I’m pleased L.L. Barkat chose my essay about him as the feature article today on Tweetspeak Poetry. And just in time for Father’s Day. 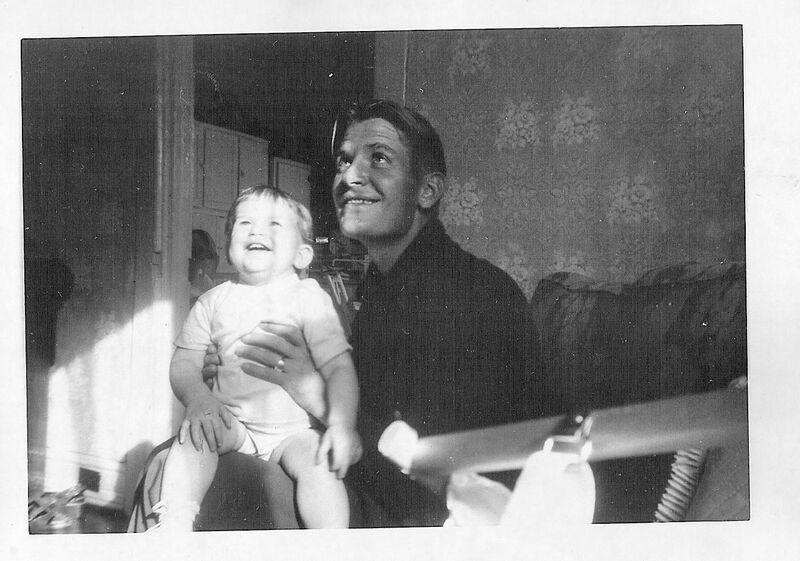 Hope you enjoy Oh, Annabel: Words of My Father. Love the essay Darrelyn. Reminded my of my daddy when reading the WWII stories. I wish my own father would have told us about the war, but he couldn’t bring himself to do that. Thanks for sharing. Happy Father’s Day to all our Dads, especially those that are no longer with us. Taken too soon. Thanks, Katy. I’m so glad you enjoyed. Your father must’ve had some painful memories. Those are hard ones to share. Taken “too soon” is right. Loved your story. You must be so proud to be named after him! Thank you, Syd. As a child, we moved around a lot and changed schools numerous times. My teachers would always introduce the new kid and make me stand up to pronounce my name over and over again. I didn’t appreciate it at the time. But I treasure it now. I enjoyed your essay very much. So much love in those words. Wonderful Darrelyn! My dad is 86 and I feel blessed he is still with us. Once in a while we can get him to reminisce, but it’s like pulling teeth. How lucky you were that your father was so open and willing to share his life with you. Thanks, Barbara. You are so lucky to still have him. Enjoy every moment with your daddy. Very good, thank you Darrelyn! What a wonderful photo! I love that your father was “more comfortable in the seat of an airplane or driving a car.” So am I. Off to read your essay. Cynthia, We were driving in an old VW Beetle with no air conditioning from Panama to Costa Rica when I whined, “When will we be there?” That’s when Daddy told me to enjoy the best part of the trip and went on to explain he was most comfortable in the seat of an airplane or driving a car.